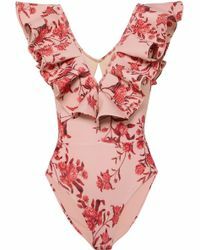 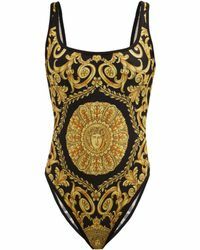 Stock up on one-piece swimsuits to flatter your figure and give your holiday a style upgrade. 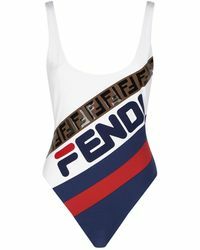 Cut-out detail on monokinis and directional prints add fashion edge, while polka dots and halternecks nod to retro bathing suits. 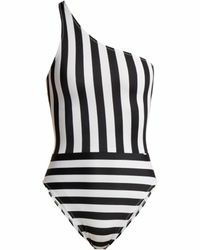 Shop most-wanted Melissa Odabash sleek one-pieces, We are Handsome signature prints, Lisa Marie Fernandez wetsuit-inspired styling and Hervé Léger for the ultimate in poolside posing.